What Are the Taxes and Fees When Selling Property in Japan? By: Shinichi Kawamura, CEO LINC Inc. Stamp Duty is paid at the time of the contract for sale, while Capital Gains Tax and Resident Tax are paid when filing an income tax return after the sale. One of the taxes imposed on the sale of real estate is Stamp Duty. A revenue stamp corresponding to the amount of the contract is affixed to the contract for sale of real estate. In order for the seller and buyer each to hold a copy of the contract for sale, it is common practice for each to bear the stamp fee. In the case of a general tract of land or condominium with a sale price of 5 million JPY to 100 million JPY, you should expect to pay between 5,000 JPY and 30,000 JPY in Stamp Duty. The second and third types of tax imposed on the sale of real estate are Capital Gains Tax and Resident Tax. These two taxes are only payable only when a profit has been realized through the sale. There is no need to pay these if the sale has resulted in a loss, such as when the sale price is lower than the purchase price. Capital Gains Tax and Resident Tax are taxes that are imposed on capital gain, which is determined by the sale price of the real estate. Therefore, the amount of capital gain is a significant factor when calculating these taxes. In addition, income is categorized and taxed at different rates depending on the length of ownership. Capital gain should be understood as “the ultimate profit or loss after deducting all of the costs incurred from the acquisition to the sale of the real estate from the disposition price of said real estate”. The cost of acquiring the building, which is used to calculate capital gain, is derived by deducting “depreciation cost” from the price at which the building was purchased. The amount of tax is obtained by multiplying the taxable capital gain by the tax rate. However, this tax rate is not fixed, and will depend on the period of ownership of the real estate. If the period of ownership exceeds five years as of January 1st of the year in which the real estate is sold, it is considered “Long-Term Capital Gain”. Whether these costs are required and specific costs will depend on the condition of the property. If you wish to know more about the taxes and miscellaneous costs relevant to your property, please inquire with an agent. 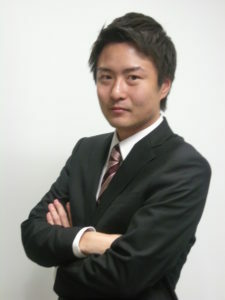 Shinichi Kawamura, CEO, LINC Inc.
After years of managerial experience at one of the world’s leading homebuilders in Japan, Mr. Kawamura received an MBA while working overseas. He specializes in providing consultation services in the real estate industry by partnering with professionals such lawyers, accountants, architects, and designers, etc. to find optimal solutions for clients. LINC Inc. which was established as the residential and investment real estate business of a construction company, has achieved a sales record of 50 billion JPY. They are able to offer comprehensive real estate solutions through partnerships with industry professionals, including first-class certified architects, lawyers, accountants, takken (real estate transaction managers), systems engineers, designers, and management consultants. They currently offer a wide range of services, including but not limited to order-made homes, office design, consulting, and real estate brokerage. If you are interested in learning more about selling property in Japan, please fill out the form below and a representative from LINC Inc. will get in touch shortly. Consultations are free and require no obligation. If you would like a private consultation, please tell us two or three dates and times when you would be available to meet.